I'm pleased to announce I will be returning to the world of domestic servants for my next book, to be published by Pen & Sword in 2015. It will cover domestic service in the UK for the period 1800-1950 and will specifically look at the work from the servants' point of view. In order to write this book, I need some help! 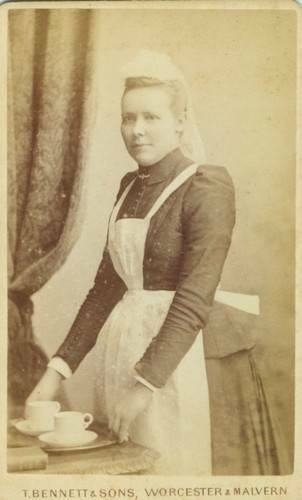 Do you have a relative or ancestor who worked in domestic service? Have they written down their story or recorded it as an oral history? Would they like to see their story published? I'm looking for personal recollections of what servant life was actually like to include in the book. Please contact me if you can help - all responses will be acknowledged!